Jeff Wood is an urban planner living and working in the San Francisco Bay Area. Tweets range from transit to track and field. Freelance engineer. Writer. Rubyist, Urbanist, Wikipedia Glutton. 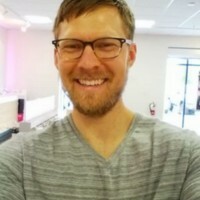 Product strategist, blogger, downtown Austin dweller, and creator of the Dadnab service.